HomeLifestyleStarbucks and French Fashion House Paul & Jo bring Gipsy the cat in the Philippines! Starbucks and French Fashion House Paul & Jo bring Gipsy the cat in the Philippines! It official! 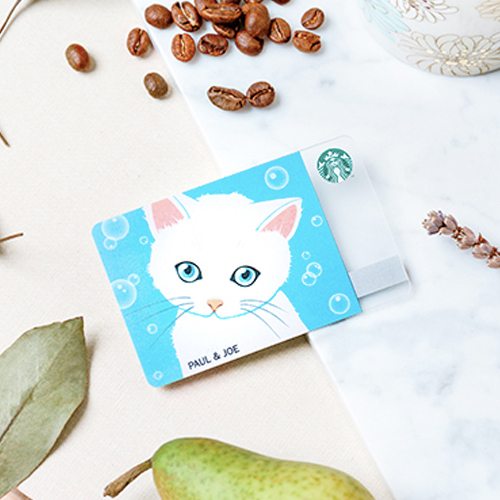 Coffee lovers and cat lovers will surely want to have the limited edition Starbucks and French Fashion House Paul & Jo merchandise and Starbucks card featuring Gipsy the cat. Gipsy is the beloved pet cat of Paul & Joe’s founder Sophie Méchaly. She’s the inspiration the symbol of the fashion house. 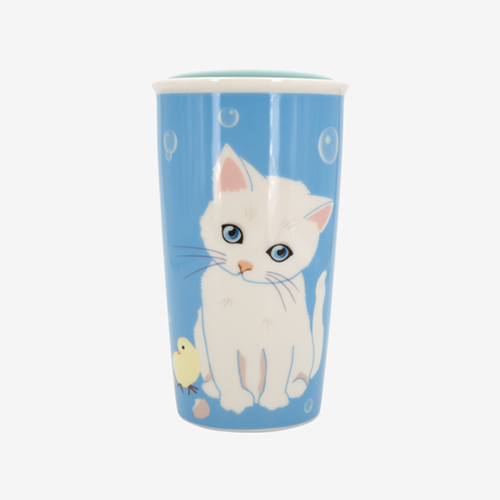 Paul & Joe + Starbucks® Double Walled Mug (12 fl oz) – A double walled ceramic mug featuring Gipsy, the iconic Paul & Joe kitten sitting with his newly hatched chick friend in glossy full wrap decal. Its pastel green acrylic lid complements the clear glaze mug body. Comes in a collector box. 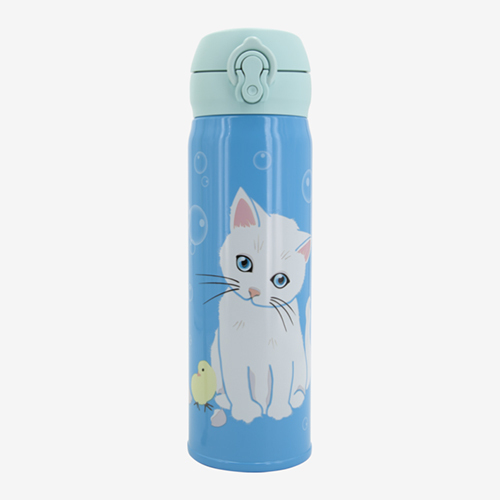 Paul & Joe + Starbucks® Tumbler (16 fl oz) – This limited-edition tumbler has a spill-proof double wall stainless steel body featuring the iconic Paul & Joe cat, Gipsy. Joining this feline is his cute newly hatched chick friend. A flip-style lid in pastel green color beautifully complements the blue color of the tumbler with Paul & Joe + Starbucks logo. 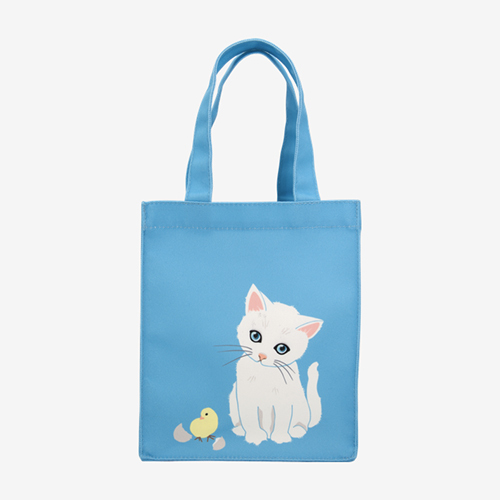 Paul & Joe + Starbucks® Tote Bag – Poly-cotton tote bag with polyester lining featuring Gipsy, the iconic Paul & Joe Cat. Paul & Joe + Starbucks logo is printed on one side of the bag and a Starbucks logo wordmark on woven label is visible inside the bag. Paul & Joe + Starbucks® Bearista –Starbucks® Bearista dressed in Gipsy-inspired outfit, accompanied by his best pal. This cute Starbucks Bearista is even made more collectible with the Starbucks wordmark that can be seen on its foot pad. Comes in a bright blue collector’s box. 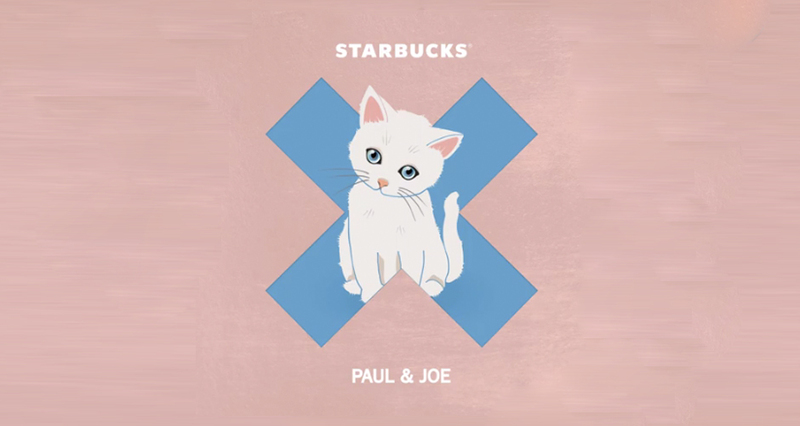 Paul & Joe + Starbucks Card – featuring Gipsy, the iconic Paul and Joe Cat. Available for an initial activation of ₱1,000. The Paul & Joe collection is the first in Starbucks new designer collaboration platform, Starbucks X, which is exclusive to Asia. Starbucks X searches across the globe to bring customers unique cultural experiences through exclusive designer collaborations. Customers can follow along on the Starbucks X official website, which invites customers to participate in the journey of discovery as Starbucks X releases a series of clues to reveal the next sought-after designer collaboration.